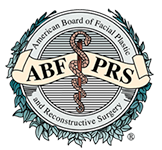 NOSE - Henderson, NV | Dr. Minoli John J. Minoli M.D., F.A.C.S. The nose is central to facial form – its nasal tip referred to as its dome. And airflow passing beneath that dome is vital to health. 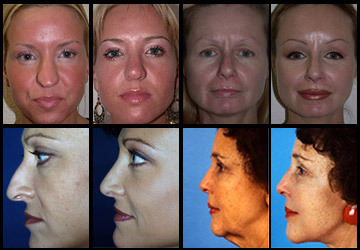 Cosmetic, elective nasal surgery (rhinoplasty) balances the shape of that central form with the vitality of breathing. Rhinoplasty surgery, also known as a “nose job,” is a surgical technique that reshapes the nose. The changes can be subtle or dramatic depending upon the starting point. Most or all of the incisions are placed on the inside of the nose. An open rhinoplasty incorporates a small incision along the external columella (the bottom column) of the nose; while a closed rhinoplasty is performed entirely through internal nasal incisions. 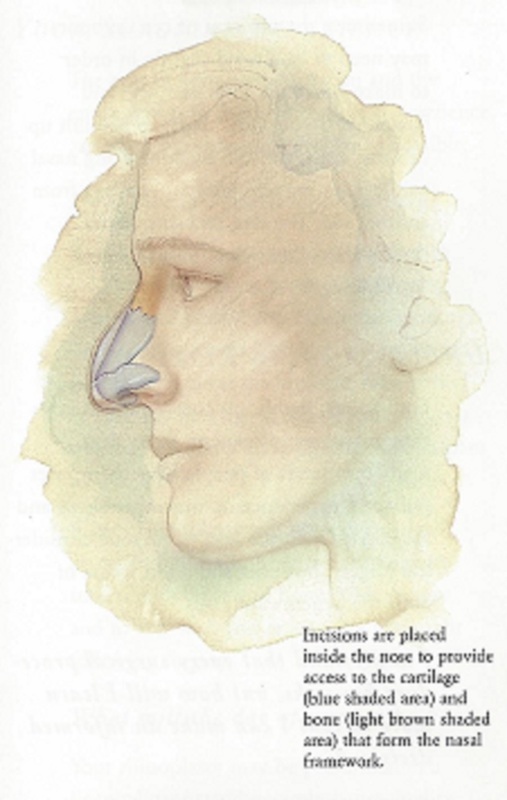 Of course, rhinoplasty surgery is not a one-size-fits-all procedure: The procedure may include a reduction or strengthening of the profile; a narrowing or widening of the nose; a sculpting of the nasal tip; a reshaping of the nasal tip where it is ill-defined; and even a reduction of the nasal base via skin-wedge excisions. 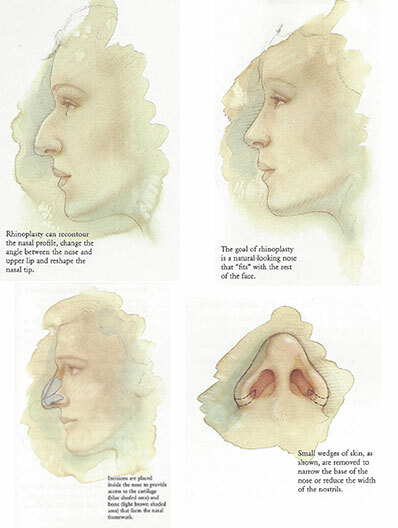 Nasal reshaping can be applied to a variety of ethnic, cultural and racial groups. Furthermore, revision rhinoplasty surgery can offer solutions to those patients who have had unsatisfactory initial rhinoplasty elsewhere. Many patients seek to have their nose reshaped when they are in their teens. But, there is no upper age limit for nasal reshaping, assuming you are in good health. Rhinoplasty is sometimes performed with a facelift in order to correct aging changes of the face & nose simultaneously. Sometimes certain internal breathing problems can also be corrected at the same time as external nasal reshaping, but this requires a surgeon skilled in both internal & external nasal surgery. Dr. Minoli completed extensive training as a plastic surgeon, AND a facial plastic surgeon, AND an ear-nose-throat surgeon (otolaryngologist): He is board-certified in all 3 specialties with considerable clinical & teaching experience in all 3 fields. Dr. John Minoli offers you years of trusted experience for improving and beautifying your nose: He accounts for nasal proportions in relation to surrounding facial structures – and of course, nasal breathing itself. He has performed primary or revision rhinoplasty surgery on people from every variety of ethnic, cultural & racial background in order to treat myriad nasal problems – BOTH COSMETIC AND FUNCITIONAL – while training aspiring surgeons in the process, not only in Las Vegas but also in several other regions of the United States. As modern medicine offers safer operative & non-surgical methods for nasal reshaping, Dr. Minoli continues to adapt his practice accordingly through extensive continued surgical education and experience. Dr. Minoli and his staff routinely treat patients undergoing nasal surgery for the first time…and those who need revision surgery to improve upon the results of initial nasal operations performed elsewhere. A personal consultation with Dr. Minoli may help you further appreciate these highly individualized issues. Sometimes certain breathing problems are related to internal nasal deformities (such as a deviation of the nasal septum or enlargement of nasal turbinate bones). Internal nasal deformities can be corrected at the same time as external nasal reshaping. 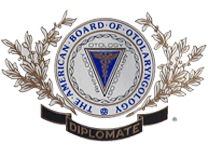 HAVING EARNED BOARD-CERTIFICATION IN PLASTIC SURGERY, FACIAL PLASTIC SURGERY AND OTOLARYNGOLOGY (EAR, NOSE & THROAT SPECIALTY) DR. JOHN MINOLI HAS DECADES OF EXPERIENCE HELPING PATIENTS DETERMINE WHEN INTERNAL & EXTERNAL NASAL WORK CAN BE DONE SIMULTANEOUSLY…THEN GUIDING THESE PATIENTS INDIVIDUALLY THROUGH THE PROCESS. For your comfort & safety general anesthesia is administered by a board-certified anesthesiologist when necessary and Dr. Minoli performs these procedures at an accredited surgery ambulatory surgery center nearby. Of course, certain patients are candidates for nasal surgery under local anesthesia in our office, but these are very specific settings. In any event, appropriate prescription medications are provided for preoperative & postoperative home use (e.g., antibiotics, muscle relaxants & pain killers). To help ensure patient safety & comfort Dr. John Minoli & his team provide a well-appointed office and a neighboring accredited ambulatory surgery center. 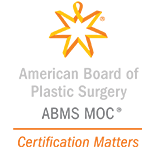 Our support staff includes experienced & caring patient-coordinators and a trusted group of board-certified anesthesiologists. The typical goal of rhinoplasty surgery is to shape a nose that looks natural, breathes well, and balances harmoniously with other facial features. As a rule, patients do not want to look surgically done. • A closed approach involves the restricted use of internal nasal incisions, but no external ones. • An open approach involves the use of an external incision across a narrow or creased part of the columella [definition of columella – the narrow central column below the nasal tip which externally separates the right and left nostrils]. the EXTERNAL transcolumellar incision illustrated above. Traditional rhinoplasty incisions are usually made on the inside of the nose (inside the nostrils). This approach is usually referred to as a closed rhinoplasty. Certain patients are candidates for an additional external incision along the EXTERNAL bottom region of the nose (transcolumellar), and this approach is usually referred to as an open rhinoplasty. 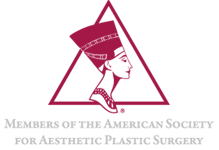 During your consultation Dr. Minoli can help guide you to the proper approach. In addition to nasal skin being lifted during rhinoplasty surgery, underlying nasal cartilages and bones are also surgically altered. During rhinoplasty surgery the underlying nasal bones & cartilages are re-shaped; then the nasal skin is re-draped over the re-shaped nasal bones & nasal cartilages. Sometimes rhinoplasty involves the use of grafting – a process in which a patient’s own cartilage (from internal nose, ear or rib), or the patient’s own fat (from abdominal wall, buttocks or thighs) is borrowed from its donor region, then carefully transferred to improve the shape & support of the newly-fashioned nose. Rhinoplasty incisions are expertly sutured for a meticulous final skin closure. Medications for sedation or general anesthesia are administered for your comfort during rhinoplasty surgery. And appropriate prescriptions are also provided for preoperative & postoperative home medications. Before undergoing initial rhinoplasty surgery, girls should usually be at least 14 or 15, and boys a bit older. (A person’s nose is not fully developed at a younger age.) Younger prospective patients typically should not be disturbed before proper nasal growth has occurred – although notable clinical exceptions may apply (such as children in need of earlier intervention due to cleft lip-nasal defects). Naturally, Dr. Minoli and his staff will want to be certain that younger patients (and actually, all patients) are sure they want to change their nasal appearance based on their own true feelings and not those of parents, family or friends. Of course, if a person is healthy there is no absolute upper-age limit; and sometimes Dr. Minoli performs rhinoplasty surgery to correct an aging nose or a drooping nasal tip while simultaneously performing facelift surgery during specific cases involving advanced facial rejuvenation. Healing after rhinoplasty nasal surgery is typically a slower process than healing in other areas of the body. A nasal cast typically remains for the first several postoperative days; then upon removal of the cast the new nose has some of its new final form, but not completely!!! There must be no real exertion or straining for several days following rhinoplasty nasal surgery. And in fact, even facial washings must be done gently during this early period. (Specific instructions are usually reviewed with each patient.) If any external sutures have been placed during surgery they are usually removed toward the end of the 1st week. As the 1st postoperative week progresses so does one’s sense of independence. Bruising and swelling, common during the first few postoperative days, subside during the 2nd week. In a broad sense: It takes about 6 weeks after surgery to pass social scrutiny … & 6 months or more before residual lumps & bumps soften & dissipate. Of course, Dr. Minoli will help guide you through these milestones. WHILE SURGICAL OPTIONS ARE AN EXCELLENT TOOL, IT IS IMPORTANT TO REMEMBER THAT NON-SURGICAL CHOICES EXIST TOO – NOTABLY, NON-SURGICAL INJECTABLE NEUROMODULATORS (e.g., BOTOX®) & INJECTABLE COSMETIC FILLERS CAN BE USED TO TREAT THE NOSE IN SPECIFIC SETTINGS. WHAT ARE THE AVERAGE COSTS & RECOVERY TIME? Rhinoplasty surgery average global cost range: $ 7,200.00 – $ 10,000.00. Rhinoplasty surgery average recovery time: 1 to 2 weeks. WHAT TECHNIQUES ARE USED TO PERFORM RHINOPLASTY SURGERY? The surgical techniques employed to re-shape your nose will depend primarily on the goals established by you and Dr. Minoli. Incisions are placed mainly on the inside the nose to provide access to the cartilage which helps form the nasal framework. Sometimes a very short incision is placed across the vertical strip of tissue that separates the nostrils (the columella). 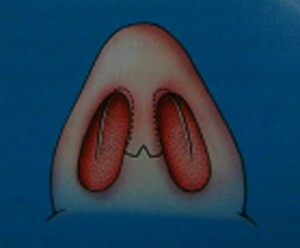 The use of this short columellar incision defines the nasal technique as an open rhinoplasty. In any event, whatever incisions are used to reshape your nose, they will ultimately be very inconspicuous. Open approach rhinoplasty is defined by the EXTERNAL transcolumellar incision illustrated above. Through the chosen nasal incisions surgical maneuvers are performed on the cartilage and bone that form the nasal framework. Sometimes, the position of certain bones may be altered in order to make a nose look narrower and straighter. If a nose needs to be built up, this can be done with nasal cartilage (or perhaps cartilage from another site, such as ear or rib). 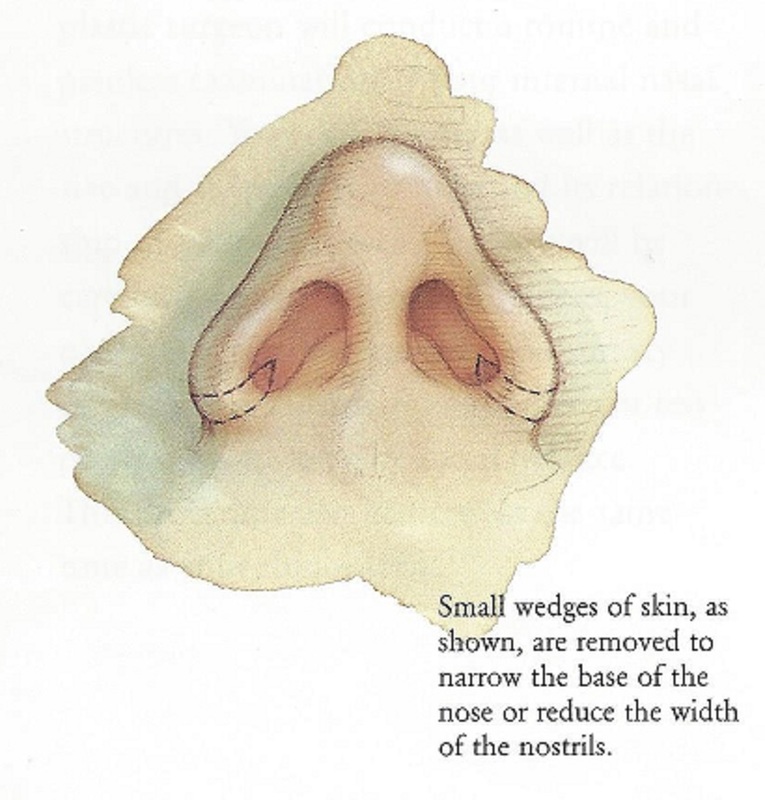 Alterations may be made to increase or decrease the nasal bridge, reduce the size or width of the nose, narrow the nostrils, change the angle between the nose & upper lip, or reshape the nasal tip. The skin and soft tissues are then re-draped over this new scaffolding. 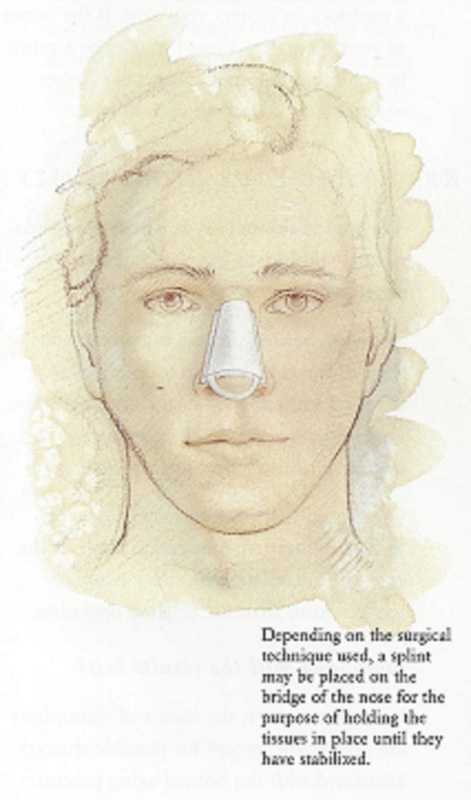 Depending on the surgical technique, a splint may be placed on the nasal bridge to hold the tissues in place until they have stabilized. ARE YOU A GOOD CANDIDATE FOR RHINOPLASTY SURGERY? Your nose appears too large for your face. There is a bump on your nasal bridge when viewed in profile. Your nose seems too wide when viewed from the front. Your nasal tip droops or plunges. Your nasal tip is thickened or enlarged. Your nostrils are excessively flared. Your nose is off-center or crooked. Previous injury has made your nose asymmetrical. It is important that you have a clear idea of how you would like your nose to look and also realize that there are limitations to the procedure. During the initial consultation, you may be asked to look in a mirror and point out exactly what you would like to see improved. This will help Dr. Minoli to understand your expectations and determine whether those expectations can realistically be achieved. Patients with sufficient physical and emotional maturity who undergo rhinoplasty because they want to enhance their self-image are usually very satisfied with their decision. WHAT WILL YOUR PERSONAL CONSULTATION BE LIKE? Your consultation likely will include a discussion about your overall goals. What do you wish to achieve through rhinoplasty (nasal re-shaping) surgery? You should come to a consultation with Dr. Minoli prepared to discuss your medical history – including any conditions you may have such as diabetes, high blood pressure or heart disease. If you plan to become pregnant in the near future, you should discuss this too. Dr. Minoli will want to know about your current medications and your previous surgeries & medical treatments. Of course, this will also include information about your nasal condition, past nasal medical treatments you have received, previous nasal surgeries (including repair of nasal injuries), and current medications. Dr. Minoli will also ask whether you breathe through your nose with some difficulty, suffer from stuffy nasal allergies, or chronically use nasal sprays. Complete information is important for proper decision-making. Dr. Minoli will also examine your nose and adjacent facial structures. Your skin quality (as well as the size and shape of your nose and its relationship to your other facial features) will be studied carefully .Pre-existing scars will also be evaluated. (Scarring from previous rhinoplasty surgery may limit your results.) 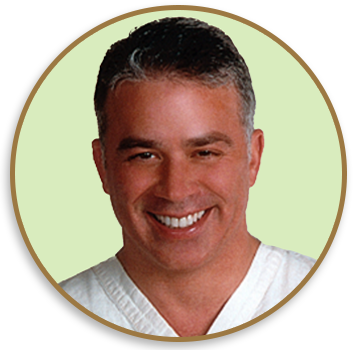 Dr. Minoli will conduct a routine and painless examination of your internal nasal structures. In small number of instances, Dr. Minoli may recommend chin surgery to enhance or diminish the prominence of your lower face in relation to your nose – improving overall facial balance in the process. Chin surgery can often be performed simultaneously with rhinoplasty surgery. Not everyone will achieve the same results. Dr. Minoli will take into consideration your unique features. During the consultation, you will be asked to point out the exact areas you would like improved. This will help Dr. Minoli understand the reality of your expectations. WILL YOUR INSURANCE HELP COVER THE COST OF RHINOPLASTY SURGERY? Rhinoplasty (nasal re-shaping) surgery is typically a cosmetic procedure and, as such, is not covered by most insurance companies. However, under certain circumstances, insurance coverage may be available. For example, if a patient has an obstruction to nasal breathing due structural deviation inside the nose – corrective nasal surgery may be needed (which could include naso-septal reconstruction and inner-nasal turbinate bone surgery). Many factors determine your eligibility for coverage, including the specific terms of your insurance policy. A letter of predetermination may be required by your insurance company prior to surgery. Dr. Minoli & his staff will discuss these matters with you. WHAT ARE THE RISKS OF RHINOPLASTY SURGERY? The subject of risks and potential complications of surgery is best discussed on a personal basis between you and Dr. Minoli & his staff. Fortunately, significant complications from rhinoplasty (nasal re-shaping) surgery are uncommon – this takes into consideration thousands of procedures worldwide. Every year, many thousands of people have their noses reshaped and experience no major problems while being pleased with the overall results. Anyone considering nasal surgery, however, should be aware of both the benefits and the risks. These risks include the possibility of bleeding, infection, bruising, prolonged discoloration, swelling, numbness, reactions to anesthesia, painful or unattractive scarring, contour irregularities, need for further surgery, and unsatisfactory overall results. Minor irregularities can sometimes arise (e.g., in certain instances when incisions have not healed in an ideal way), but office-based postoperative treatments are usually available to help minimize these problems if they occur. You can help to lessen certain risks by following the professional advice given by Dr. Minoli and his staff at your consultations and office visits. HOW SHOULD YOU PREPARE FOR RHINOPLASTY SURGERY? We want to make your surgical experience as easy and comfortable for you as possible. If you are a smoker, you will be asked to stop smoking well in advance of surgery. Aspirin, certain anti-inflammatory drugs, and an array of supplements (e.g., fish oil, flaxseed oil, garlic supplements, green tea & Vitamin E) can cause increased bleeding, so you should avoid taking these medications & supplements well in advance of surgery. Dr. Minoli and his staff will advise you and provide additional preoperative instructions. Dr. Minoli and his staff will provide you with additional preoperative instructions during the preoperative consultation phase. If your rhinoplasty surgery is being performed on an outpatient basis (as it usually is) be sure to arrange for someone to drive you home and stay with you at least the first night following surgery. WHAT WILL THE DAY OF SURGERY BE LIKE? Your rhinoplasty (nasal re-shaping) surgery may be performed in a free-standing ambulatory facility, although a few patients are even candidates for rhinoplasty (nasal re-shaping) surgery under local anesthesia in our office. Medications are administered for your comfort during and after the surgical procedure. Dr. Minoli (and your anesthesiologist if such is the case) will determine with you the type of anesthesia to be used – local anesthetic injections, intravenous sedation and/or general anesthesia. For your safety during the operation, various monitors may be used to check your blood pressure, pulse, and circulating oxygen. Usually, a splint is placed on your nasal bridge to hold tissues in place until they have stabilized. The splint will shield your nose from accidental bumps and protect it while you sleep. During the first night after surgery you may have a small bandage underneath your nose (moustache dressing) so that postoperative nasal secretions can be absorbed. In addition, nasal packing or soft internal nasal splints are often used inside the nostrils. WHAT IS YOUR AFTER-CARE LIKE? You will be returning to Dr. Minoli’s office at regular intervals so that your postoperative progress can be properly evaluated. During the first few postoperative days your nose & face may be tender, but this usually subsides later in the 1st week. As the 1st postoperative week progresses so will your sense of independence. Nonetheless, specific recommendations will be of aid in the early stages of healing. Healing after rhinoplasty nasal surgery is typically a slower process than healing in other areas of the body. A nasal cast typically remains for the first several postoperative days; then upon removal of the cast the new nose has some of its new final form, but not completely! Bruising and swelling, common during the first few postoperative days, subside during the 2nd week. In a broad sense: It takes about 6 weeks after surgery to pass social scrutiny … & 6 months or more before residual lumps & bumps soften & dissipate. Of course, Dr. Minoli will help guide you through these milestones. AFTER RHINOPLASTY SURGERY, WHEN WILL YOU RESUME NORMAL ACTIVITIES? It is important to realize that the amount of time it takes for recovery varies greatly among individuals. Straining, bending and lifting should be avoided during the early postoperative period. Depending on the extent of your rhinoplasty (nasal re-shaping) surgery … and your general physical condition … you may be able to return to non-strenuous work anywhere from 1 to 2 weeks after surgery. Sexual activity should be avoided for a minimum of 2 weeks: And other vigorous activities should also be restricted for at least 2 weeks. In many instances, you can resume most of your normal activities, including some form form of mild exercise, after a few weeks. You may continue to experience mild periodic discomfort and swelling during this time, but such feelings are normal. Severe pain should be reported. In general, the timing of your recovery depends largely on the extent of your surgery and your individual healing capacity. You will be instructed to avoid exposure to direct sunlight during the early postoperative phase – and for the long-term, to be conscientious about the use of sunblock to protect your skin. It will be a few months before you can expose your re-shaped nose to direct sunlight for lengthy periods. If your nasal bones are altered, it may be a number of weeks, or even months, before you can wear glasses without special support or special tape. AFTER RHINOPLASTY (NASAL RE-SHAPING) SURGERY, HOW WILL YOU LOOK INITIALLY? Bruising & swelling, common during the 1st week, begin to subside noticeably during the 2nd week. In a broader sense: It takes about 6 weeks after surgery to pass social scrutiny … & 6 months or more before residual lumps & bumps soften & dissipate. Incisions will initially be red or pink: They may remain this way for many months following surgery, but eventually incisional scars fade. During the early stages of healing you will notice puffiness and discoloration which may be more pronounced in some portions of your nose & face than others. (Most frequently, nasal tip swelling is involved.). Do not be alarmed by any unevenness or temporary asymmetry caused by this variance in swelling and bruising; it is perfectly normal. Generally, the greatest swelling occurs 24 to 72 hours after surgery, but it may take several weeks, or even months, before all puffiness resolves; yet, this should not be apparent to others. Usually during the 2nd week following surgery it will be permissible to wear makeup to help conceal discoloration. It is important to realize that recovery time varies greatly among individuals. The first few days after surgery, you should restrict activities and sleep with your head elevated: This will help to minimize swelling and reduce the possibility of minor bleeding (which is not uncommon during the first night). Remember, you must not take aspirin or certain anti-inflammatory medications at this point because those agents could provoke more bruising. You will need to wear the nasal splint for a week or so, during which time you should avoid getting it wet (although efficient showering may be permissible). The goal of rhinoplasty is a nose that looks natural and blends harmoniously with other facial features. Since the healing process is gradual, you should expect to wait up to one year to see the final results of your rhinoplasty surgery. You are likely, however, to begin enjoying the appearance of your new nasal shape within a few weeks after surgery. Occasionally, a touchup may be desired to further improve results: Any additional procedure typically would be far less extensive than the original operation. WHAT ARE THE RESULTS OF RHINOPLASTY SURGERY LIKE, AND HOW LONG DO THE RESULTS LAST? The results of your rhinoplasty (nasal re-shaping) surgery may be dramatic or subtle, depending on how you looked before surgery as well as the specific goals that you and Dr. Minoli establish. Since the healing process is gradual, you should expect to wait at least several weeks before being able to appreciate your “new look.” Modest changes may continue to occur over several months. When healing is accomplished, rhinoplasty (nasal re-shaping) surgery will have enhanced the appearance of your nose. It may take some time to adjust to your new facial image, but you are likely to feel a boost in self-confidence as you progress in your healing. Still, it is important to remember that various healing factors may prolong the final result. Prolonged swelling is typical in the months following surgery. The healing process is gradual, so you should expect to wait a while before fully enjoying the outcome. 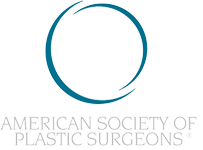 Nevertheless, most often the results of rhinoplasty surgery are permanent – except for possible changes associated with the normal aging processes. Scars will fade over time; but no matter what, incisions create scars – and scars are permanent. Most incisions heal nicely; but some scars are more noticeable. 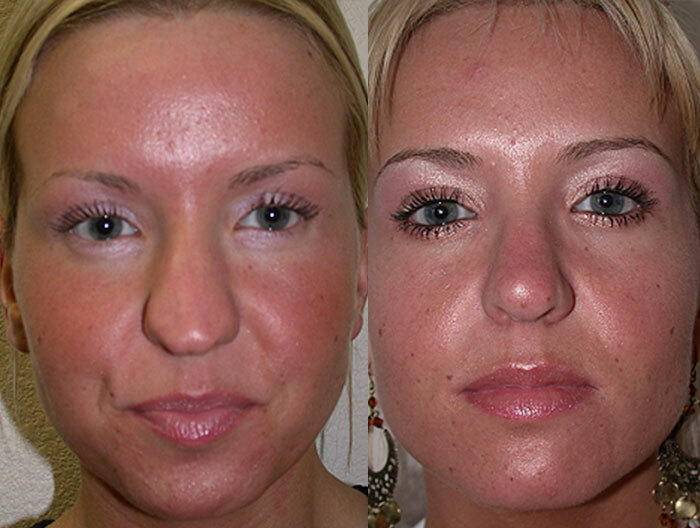 Fortunately, rhinoplasty (nasal re-shaping) surgery scars are concealed inside the nose or in natural nasal creases. Occasionally, a touch-up revision may be desired to further improve a contour or a scar. The additional treatment can usually be performed under local anesthesia in Dr. Minoli’s office. You will return to Dr. Minoli’s office for follow-up care at prescribed intervals, at which time your progress will be evaluated. This postoperative period typically spans the first year following surgery, and certainly beyond if needed. Please remember that the relationship with Dr. Minoli and his staff does not end when you leave the operating room, but continues. If you have questions or concerns during recovery Dr. Minoli and his staff will be available to respond.